The student companion site contains additional readings as well as notes that may be of use to students learning English as an additional language, students who are new to Canada, and any other students who would benefit from further annotation than that provided in the bound book. The site also includes writing exercises. 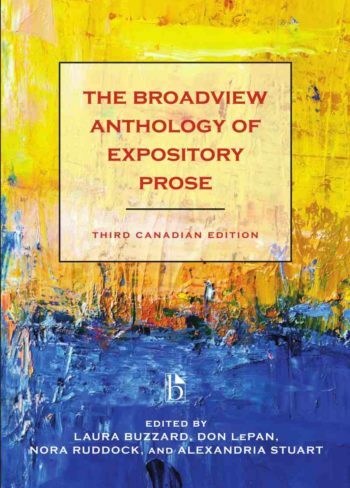 Access to this website is included free with every new copy of The Broadview Anthology of Expository Prose – Third Canadian Edition. If you purchased a used copy, you can purchase an access code here.